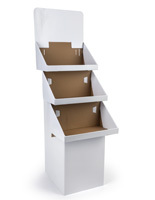 This retail cardboard stand is a great way to reduce inventory of slow-selling goods! 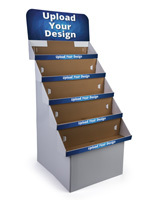 The point of purchase stand is a floor-standing unit, designed to capture the eye of patrons. 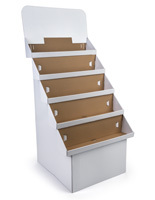 Also known as a sale bin, holds food, paper, and general merchandise. 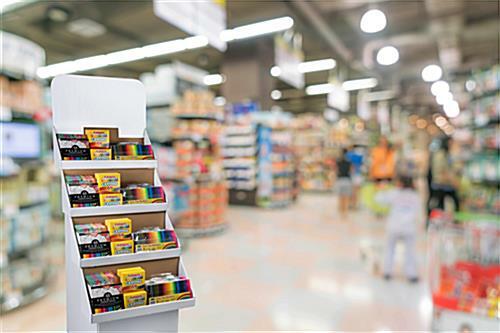 Floor units like these are often seen in a grocery store, highlighting new brands or seasonal items. 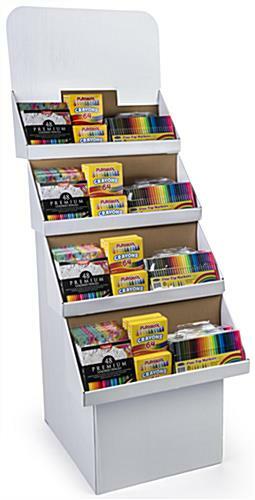 The cardboard POP display is filled with cereal, crackers, juices, candy, DVDs, coffee and more. 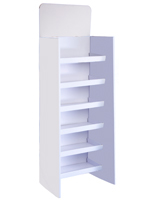 The stand is excellent for retailers looking for a versatile point of purchase rack, capable of showcasing different items throughout the store. 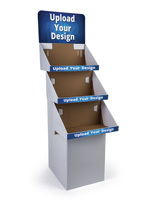 Users often place the cardboard stand near a checkout counter to increase impulse purchase buys. 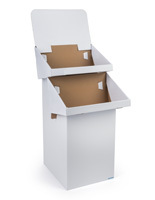 27.8" x 67.0" x 27.5"
25.0" x 9.9" x 7.0"
Highly Recommended This Company With This Product! Great Products at Great Prices!! 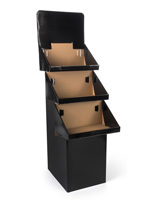 I ordered 2- 4 tiered displays from Displays2go for the first time. My order arrived in only 2 Days! 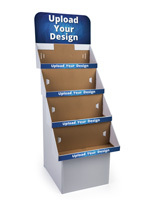 I set up one of the displays with our products and they look great and fit perfect. The setup was quick and easy! I would recommend Displays2go to everyone!